« Lincoln – Green Shoots for Maths and Physics? It seems the little poll about cosmic inflation I posted last week with humorous intent has ruffled a few feathers, but at least it gives me the excuse to wheel out an updated and edited version of an old piece I wrote on the subject. Just over thirty years ago a young physicist came up with what seemed at first to be an absurd idea: that, for a brief moment in the very distant past, just after the Big Bang, something weird happened to gravity that made it push rather than pull. During this time the Universe went through an ultra-short episode of ultra-fast expansion. 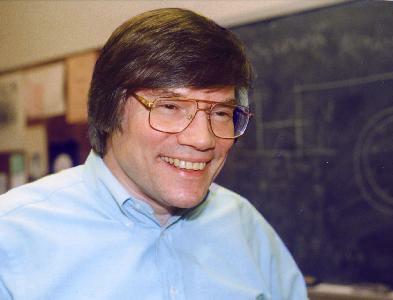 The physicist in question, Alan Guth, couldn’t prove that this “inflation” had happened nor could he suggest a compelling physical reason why it should, but the idea seemed nevertheless to solve several major problems in cosmology. Three decades later, Guth is a professor at MIT and inflation is now well established as an essential component of the standard model of cosmology. But should it be? After all, we still don’t know what caused it and there is little direct evidence that it actually took place. Data from probes of the cosmic microwave background seem to be consistent with the idea that inflation happened, but how confident can we be that it is really a part of the Universe’s history? The process by which the standard cosmological model was assembled has been a gradual one, but the latest step was taken by the European Space Agency’s Planck mission . I’ve blogged about the implications of the Planck results for cosmic inflation in more technical detail here. In a nutshell, for several years this satellite mapped the properties of the cosmic microwave background and how it varies across the sky. Small variations in the temperature of the sky result from sound waves excited in the hot plasma of the primordial fireball. These have characteristic properties that allow us to probe the early Universe in much the same way that solar astronomers use observations of the surface of the Sun to understand its inner structure, a technique known as helioseismology. The detection of the primaeval sound waves is one of the triumphs of modern cosmology, not least because their amplitude tells us precisely how loud the Big Bang really was. The pattern of fluctuations in the cosmic radiation also allows us to probe one of the exciting predictions of Einstein’s general theory of relativity: that space should be curved by the presence of matter or energy. Measurements from Planck and its predecessor WMAP reveal that our Universe is very special: it has very little curvature, and so has a very finely balanced energy budget: the positive energy of the expansion almost exactly cancels the negative energy relating of gravitational attraction. The Universe is (very nearly) flat. The acoustic oscillations generated by inflation have a broad spectrum (they comprise oscillations with a wide range of wavelengths), they are of small amplitude (about one hundred thousandth of the background); they are spatially random and have Gaussian statistics (like waves on the surface of the sea; this is the most disordered state); they are adiabatic (matter and radiation fluctuate together) and they are formed coherently. This last point is perhaps the most important. Because inflation happens so rapidly all of the acoustic “modes” are excited at the same time. Hitting a metal pipe with a hammer generates a wide range of sound frequencies, but all the different modes of the start their oscillations at the same time. The result is not just random noise but something moderately tuneful. The Big Bang wasn’t exactly melodic, but there is a discernible relic of the coherent nature of the sound waves in the pattern of cosmic microwave temperature fluctuations seen in the Cosmic Microwave Background. The acoustic peaks seen in the Planck angular spectrum provide compelling evidence that whatever generated the pattern did so coherently. There are very few alternative theories on the table that are capable of reproducing these results, but does this mean that inflation really happened? Do they “prove” inflation is correct? More generally, is the idea of inflation even testable? So did inflation really happen? Does Planck prove it? Will we ever know? It is difficult to talk sensibly about scientific proof of phenomena that are so far removed from everyday experience. At what level can we prove anything in astronomy, even on the relatively small scale of the Solar System? We all accept that the Earth goes around the Sun, but do we really even know for sure that the Universe is expanding? I would say that the latter hypothesis has survived so many tests and is consistent with so many other aspects of cosmology that it has become, for pragmatic reasons, an indispensable part our world view. I would hesitate, though, to say that it was proven beyond all reasonable doubt. The same goes for inflation. It is a beautiful idea that fits snugly within the standard cosmological and binds many parts of it together. But that doesn’t necessarily make it true. Many theories are beautiful, but that is not sufficient to prove them right. When generating theoretical ideas scientists should be fearlessly radical, but when it comes to interpreting evidence we should all be unflinchingly conservative. The Planck measurements have also provided a tantalizing glimpse into the future of cosmology, and yet more stringent tests of the standard framework that currently underpins it. Primordial fluctuations produce not only a pattern of temperature variations over the sky, but also a corresponding pattern of polarization. This is fiendishly difficult to measure, partly because it is such a weak signal (only a few percent of the temperature signal) and partly because the primordial microwaves are heavily polluted by polarized radiation from our own Galaxy. Polarization data from Planck are yet to be released; the fiendish data analysis challenge involved is the reason for the delay. But there is a crucial target that justifies these endeavours. Inflation does not just produce acoustic waves, it also generates different modes of fluctuation, called gravitational waves, that involve twisting deformations of space-time. Inflationary models connect the properties of acoustic and gravitational fluctuations so if the latter can be detected the implications for the theory are profound. Gravitational waves produce very particular form of polarization pattern (called the B-mode) which can’t be generated by acoustic waves so this seems a promising way to test inflation. Unfortunately the B-mode signal is expected to be very weak and the experience of WMAP suggests it might be swamped by foregrounds. But it is definitely worth a go, because it would add considerably to the evidence in favour of inflation as an element of physical reality. But would even detection of primordial gravitational waves really test inflation? Not really. The problem with inflation is that it is a name given to a very general idea, and there are many (perhaps infinitely many) different ways of implementing the details, so one can devise versions of the inflationary scenario that produce a wide range of outcomes. It is therefore unlikely that there will be a magic bullet that will kill inflation dead. What is more likely is a gradual process of reducing the theoretical slack as much as possible with observational data, such as is happening in particle physics. For example, we have not yet identified the inflaton field (nor indeed any reasonable candidate for it) but we are gradually improving constraints on the allowed parameter space. Progress in this mode of science is evolutionary not revolutionary. Many critics of inflation argue that it is not a scientific theory because it is not falsifiable. I don’t think falsifiability is a useful concept in this context; see my many posts relating to Karl Popper. Testability is a more appropriate criterion. What matters is that we have a systematic way of deciding which of a set of competing models is the best when it comes to confrontation with data. In the case of inflation we simply don’t have a compelling model to test it against. For the time being therefore, like it or not, cosmic inflation is clearly the best model we have. Maybe someday a worthy challenger will enter the arena, but this has not happened yet. Most working cosmologists are as aware of the difficulty of testing inflation as they are of its elegance. There are also those who talk as if inflation were an absolute truth, and those who assert that it is not a proper scientific theory (because it isn’t falsifiable). I can’t agree with either of these factions. The truth is that we don’t know how the Universe really began; we just work on the best ideas available and try to reduce our level of ignorance in any way we can. We can hardly expect the secrets of the Universe to be so easily accessible to our little monkey brains. This entry was posted on March 4, 2014 at 2:57 pm and is filed under The Universe and Stuff with tags Big Bang, cosmic inflation, Cosmic Microwave Background, Cosmology, Inflation, Particle Physics, Physics, Planck, WMAP. You can follow any responses to this entry through the RSS 2.0 feed. You can leave a response, or trackback from your own site. It seems the problem is singularity of what. In the absence of a Higgs field I understand there can be no mass. Therefore the form of the universe at the big bang would seem to be massless bosons. Perhaps singularities in the Higgs field also exist in black holes. So what goes on in black holes is transforming massive particles in bosons. So there really are singularities in black holes. Voids in the Higgs field may have limits where eventually spontaneous symmetry breaking results in what appears to be our big bang. As bosons are returned to massive particles the form of their energy is transferred to mass and the void in the Higgs field may be filled..So the big bang idea is actually a story of big condensation and cooling from a previously superheated state, not the spontaneous creation of matter/energy. Just wanted to draw attention to the paper by Demos Kazanas (and only because it always get ignored in literature) in 1980 who pointed out that exponential expansion could solve the horizon problem. It also talks about phase transitions(but of course for a limited range of Higgs masses) and this paper says nothing about flatness or monopole problem. Unfortunately I don’t have access to this book . Would love to read this article. in the same room as Alan Guth when Bob Dicke gave his talk . why he is not as famous as Guth. Except perhaps if there is some non-link text following them (not included above). Most of it is available here. It would be great if this classic paper were available at the usual places. Sorry, I don’t understand that. I thought that the entire rationale for inflation was to explain the observed flatness and isotropy. First question (I assume with respect to the second sentence in the first quote): The perturbation spectrum is formed by events which occurred when the universe was very hot and dense, i.e. at energies higher than achievable in current accelerators. Second question: Flatness and isotropy are observations, just like the presence of gorillas in Africa is an observation. It is only a problem if the observation conflicts with a theoretical expectation. Also, IIRC the monopole problem was (one of) the original motivations for inflation. One doesn’t hear much about it today, perhaps because GUTs which predicted monopoles are ruled out by other arguments now (for example, they predicted proton decay on a timescale which has not been observed). Perhaps some expert could comment whether the monopole problem is still seen as such in the particle-physics community. Also note that, at the time (1979), there was no observation of flatness and isotropy in the modern sense. There was approximate isotropy in galaxy surveys and radio-source counts, but these were shallow or sparse or both. 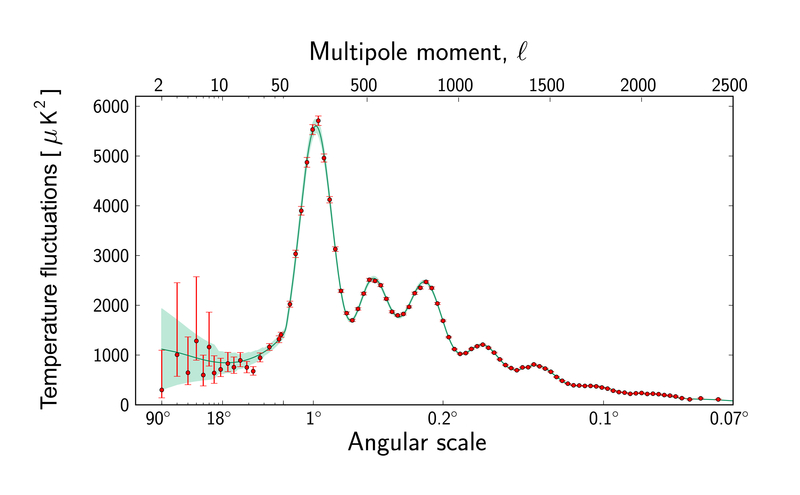 The isotropy of the CMB is a much tighter constraint. Similarly, we now know that the universe is very close to being flat, i.e. the sum of Omega and lambda is very close to 1. This was not known at all in 1979. Observational constraints back then on Omega were essentially between 0.05 and, say, 4 or 5 and on lambda between, say, -5 and +2. (In a flat universe, even then one could have constrained lambda to be less than 0.9 or so but there was no reason to assume a flat universe with non-zero lambda, so no-one investigated this.) Constraints on the combination of lambda and Omega were essentially only the age of the universe, though the then large uncertainty in the Hubble constant played a role here as well. So, if the sum of lambda and Omega is constrained to be between, say, -5 and 7, is this “observed flatness”? If one had a model like Newton’s (or more modern alternative renditions) with a universal common cosmic time (such as for Hubble expansion as a common cosmic time construct? ), then there would seem to be no necessity for inflationary models. I don’t understand this comment at all..
Also the recent discovery of magnetic monopole in context of Bose-Einstein condensate, and more typical prevalence in colder environment of universe, would be a strong counterpoint to inflationary models; the latter supposedly accounting for a lack of monopoles. see recent Nature journal article. What a superb article. Must remember to check in in more often.. Indeed. See my reply to Anton above. Did anyone think, back then, that flatness had been observed? This is the standard argument. However, in your book with George Ellis, and in your paper with Guillaume Evrard, you take a somewhat different view. Do you still agree with the claims you made back then? Kayll Lake has pointed out that in a universe which expands forever (which the current cosmological parameters indicate), one needs fine-tuning to get a universe which departs significantly from flatness, not vice-versa (as the traditional argument claims). Lake seems to be a respectable and respected member of the GR community and published this in a leading journal. However, it doesn’t seem to have sparked much interest. If there is some problem in his conclusion, then it is strange that no-one has at least written a note on arXiv claiming that it is wrong. This usually happens when some sensational claim is made which is not correct. Blowing my own horn here*, I have pointed out that in the case that the universe collapses in the future (now ruled out but not ruled out in 1979 when inflation was being formulated), one should not be surprised that a typical observer observes a universe close (in some appropriate sense) to a flat universe. While this argument cannot explain the observed very flat universe (which is not relevant because current observations indicate that the universe will expand forever, in which case Lake’s argument applies), it can explain that the allowed ranges of the cosmological parameters in 1979 were not such that they should be regarded as puzzling or unlikely, at least as far as the question of flatness is concerned. Again, if something is wrong with my conclusion it would be nice if someone pointed it out. I suggest that we collect money so that Peter can buy a WordPress upgrade which will allow users to edit their own comments with, say, 10 minutes of having written them. Probably more than is the case with other sciences, thinking in cosmology is influenced by its history. In December, I had the pleasure of attending the 27th Texas Symposium on Relativistic Astrophysics, which marked the 50th anniversary of the first Texas Symposium. (Amazingly, Wolfgang Rindler, who already had a distinguished career (teaching at top-rated universities, having written one of the most important papers in cosmology) before organizing the first Texas Symposium, was still alive and well at the 27th, just a few months ago, and even drove Rocky Kolb to the public-talk venue. He’s been at UT Dallas all this time. The first Texas Symposium was before the Beatles would be on the Ed Sullivan Show—it’s that long ago.) Apart from the usual array of current topics (such as Spergel’s talk on whether there is something wrong with the data in one of the Planck channels and, if so, whether this could account for some relatively surprising Planck results), there was of course a strong historical theme at this conference, including a very enjoyable and interesting round-table discussion which fortunately has been preserved for posterity. Note also Engelbert Schücking’s reminiscences (he wasn’t there due to health reasons but sent a video message which was shown in a plenary session). The talks are also on the web. While modern technology allows complete presentations to be put on the web, which provides much more than the typical contribution to a book of conference proceedings, I hope that they will still be available and citable decades from now. While conference contributions are often stop-gap presentations of preliminary results and so on in which case it is better to cite the corresponding refereed-journal paper, they can’t be beat for giving a feel as to how the field was at the time, especially if questions and answers are included (which really good conference proceedings have). Also, there are occasional contributions for which there is no corresponding paper, some of which are highly cited (such as the Dicke and Peebles contribution mentioned in a comment above and Penrose’s remarks at a previous Texas Symposium concerning the low entropy of the big bang). A further step is to have a video of the talk along with the slides (preferably also with questions and answers). However, to me it is still worth going in person. Philip, Penrose 1989 article is available online (see the citation in the electronic version from the recent paper by Loeb, Ijjas and Steinhardt). Probably you need a university subscription. But if you want to a copy of that article and cannot access it, email me.